Thank you for submitting your item for appraisal. 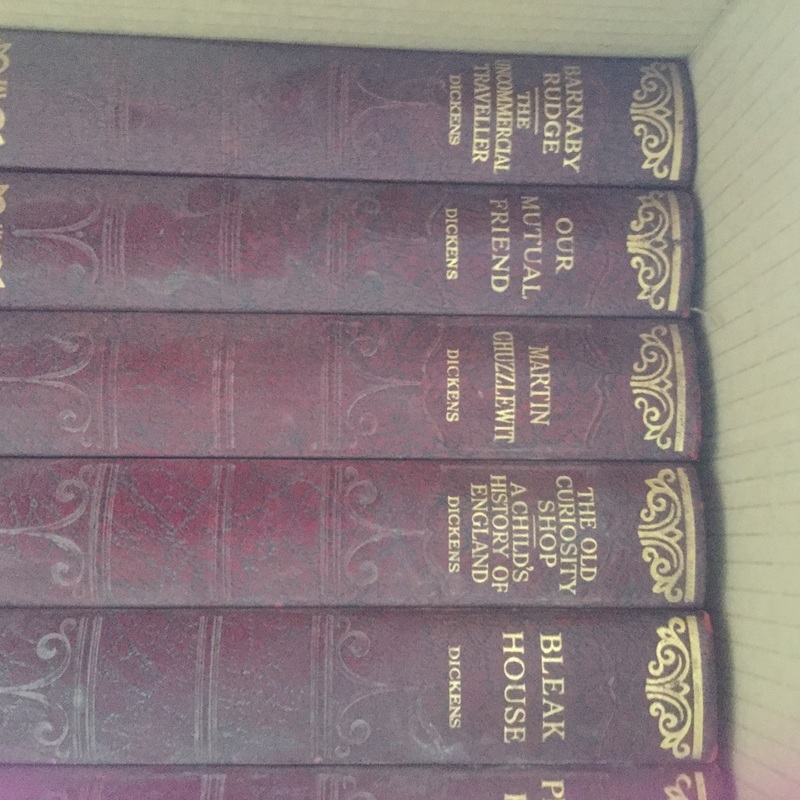 This appears to be CHARLES DICKENS - 16 volume set published by Hazell , Watson & Viney, London in circa 1930-1932. The books are bound in Burgundy Faux Leather, embossed, with gilt titles to spine. It is one of the many editions available today. The estimate is based on similar sets currently offered or sold.